Poetry Politics was a manifestation and a participatory performance initiated by Monica Sand and My Lindh. The piece was enacted just before each of the two swedish elections in 2014. 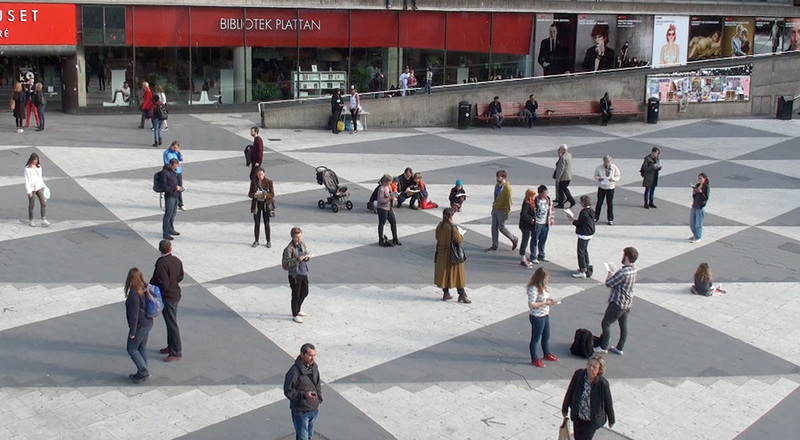 In May, just before the European Parliament Election it was performed at Sergels torg, Stockholm, and in September, just before the General Election, at Medborgarplatsen, Stockholm. Anyone who wanted could participate by bringing a fictional text, in any language, and read aloud, standing at the square. One could alternate reading with strolling, while listening to others read.